Alcohol consumption data for 2016 is in and Americans are definitely turning to the bottle. American consumers overall drank 3.5 million fewer nine-liter cases of alcohol overall in 2016 than they did in the year prior, with total consumption down slightly to just under 3.4 billion cases according to the IWSR US Beverage Alcohol Review. 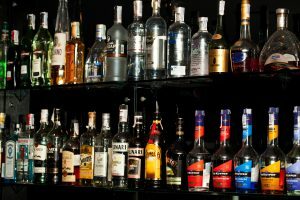 However the volume of wine and liquor bought both showed solid increases, especially for whiskey, tequila and cognac. Irish Whiskey increased by 17.6 percent, Bourbon was up by 7 percent, Cognac was up 18.8 percent and tequila did well up 7.4 percent. Overall, American consumers bought 2.6 percent more distilled spirits than in 2015, bringing the total to more than 220 million nine-liter cases. Wine volume sold also showed steady increase similar to distilled spirits. This trend, along with the slight decline in beer volume can be seen in the current trend of “premiumization” where people are drinking less but better quality or more expensive products.